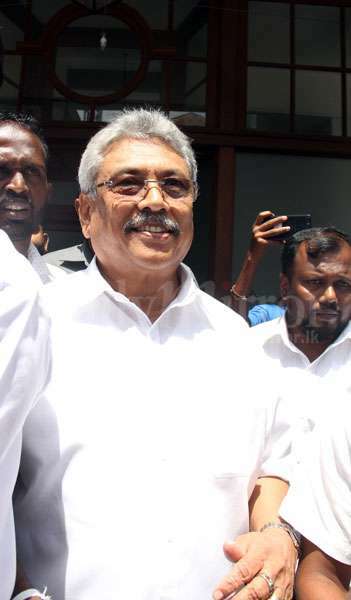 Former defence secretary Gotabaya Rajapaksa said today that he could not understand why the President, the Prime Minister, the Finance Minister and others are interested in a private 'anushashanawa' by Ven. Wendaruwe Upali Anunayake Thera. “Those who have not fathomed the context of the sermon are making various comments. After all, I’m an ordinary person and not someone of importance. I don’t know the reason for issuing so many statements over a private anushashanawa to me at my residence,” Mr. Rajapaksa told journalists outside the FCID. He said the statements may have been issued against the Anunayake Thera. “I don’t think this is appropriate. Even the Buddha said the Dhamma should be preached to people who have the capacity and the wisdom to understand it. I of course understood well what the venerable monk said. Those who haven’t understood the meaning are making these statements,” Mr. Rajapaksa said. When asked about revoking his US citizenship to contest the presidential election, Mr. Rajapaksa said he had not made a decision in this regard. No Mister we understood it very well although you cannot understand it. If it is a personal Anusasana then why did you invite the TV crew for the dana and gave publicity ?? De Silva,Inviting or not inviting tv crew is immaterial. The point here is getting the essence of the advice. It seems even you don't have the intelligence to understand. Or you too have the goo bhaya same as the president and pm etc. Forget about the sermon. The country needs a strong leadership to control the nonsense such protest march, strikes etc. The majority of us need a peaceful environment to live. Monks should not get involved in politics. They do more damage rather than preserving very essence of Buddhism. Ah! Ah! Ah! Ah! Hello Uncle we are not fools. The speech is in public domain and we understand Sinhala and also who you are and who Hitler was. We decide. Well said GR. 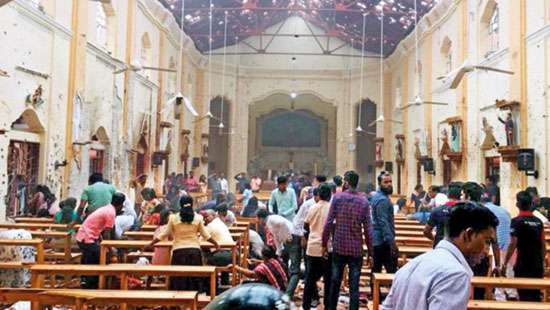 Sinhala bhashawa nodanna ayata eka andara demala. But for those who fluent the language, there's no harm in what the priest said. Twisted minded people they think they are brighter than others in-fact they are less knowledgeable in ever-day battle that’s why they loose last 24 years. Effective Strong Leadership is not Dictatorship and majority democracy loving SL are only asking to fix the Sri Lanka's miserably failed LAW and ORDER. “Hittler ” comment about LAW and ORDER. PM and his pundits didn’t understand this, if you want to understand why average voters how they vote look at last local election. Rural people like this language they don’t struggling to understand what Monk said about Hittler. MR always won so handily in election SriLanka and not this lot is very clear. it was a beautiful speech, Powerful. Inspirational. Brilliant even. Majority Sri Lankean under stood the intention. People knows who is the detector , UNP leader behaving like 1930s fascist dictator at UNP HQ. I need a leader who can contain the separatists. A leader who treats the minorities fairly. A leader who respect the wishes of the majority. A leader who can deliver a 8% economic growth. A leader who can contain the underworld. A leader who can create strong local industries. I don't certainly care if it's Hitler or not. Amunayake wanted you to become a Hitler. People always knew that you were a budding Hitler with your family's blessings. The irony is that the same UNP who are crying foul over Hitler remarks sold Vokswagen as an election promised. It was Hitlers vision that produced the Vokswagen car. Dear Gota, The Sri Lankan people are very intelligent. Please don't try to twist stories and mislead the public. If you are twisting stories to hoodwink people now, just imagine if you come into power. Since Germany lost the war we think Hitler is a devil and speak English. But if Germany won the war we will be speaking German and calling England an evil country. I think you get the point. Western media even call Putin a dictator. If the same agents call me a dictator I will wear it like a badge of honor. Because you might very well be the next Putin. Keep aside Hitler we need atleast a Putin to save the country from becoming a living hell. President Sirisena and Ranil proved by example that they can't nor do they care about developing a strong nation. What Gota needs to do is put forward a strong national policy on how to become a upper middle income country by 2030. If the people want another puppet of Ranil then let them suffer another 5 years. he has none of the "ZERO" quality that you mentioned. On the contrary he had those qualities in plenty. This man an his family is a curse. Always waiting for a opportunity to create trouble and come back to power thru his thugs. Sadly we dont have a strong leadership in My3 or RW. WHo are more interesting in protecting their position than doing good to the country. Only hope is SF to stand up against this bully. Person who seems intelligent is not necessarily actually intelligent. Buddhism tends toattract people who are highly intelligent, sensitive, creative, and self-absorbed. That’s why monks comment take out of context by law intelligent to suggest that he was referring to Hittler. Listening to Understand vs. Listening to Reply politically is different. Unfortunately for some they only understand Mass murder part and responded accordingly. Butcher giving Speech on Animal Rights. Sri Lankan voters know what monk said and beein togeter with peole for long time monks knowes what they want and understand average people feeling and language. Next election will indicate how voters understood it like last local election. We know your tactics to become the President by hook or by crook . You must have won the war killing all and sundry due to Prabakaran's adamant attitude. However we are all in this country well alert irrespective of race except for born racists who hsd been created by racial political idiots . He is so feared in the South and by the LTTE diaspora, but the middl class Tamils consider him as a hero for destroying the LTTE which kept the Tamils as prisoners for 30 long years. Surely he didn’t eliminate the LTTE to please the Tamils but nevertheless Tamils got liberated through him.As long as he curtails his mindset to harm others who oppose him,he could turn out to be a great President of Sri Lanka. Gota looks chirpy. More and more he looks the one. Gota underestimates us Sri Lankans!! What he did was nothing less than"Balalun lawa kos ata baawa wagwi" He is testing the waters. Unfortunately he has disgraced Lord Buddha's sacred robe in doing so and added another to the disgraced persons wearing a yellow robe. These yellow robed individuals who do not understand the meaning and spirit of Lord Buddha's pristine dharma should disrobe and earn a living instead of getting free board and lodging. The point is one in yellow robe should not tell the followers to take Hitler an example since he was the most wicked man on earth. He should the followers to take Lord Buddha as an example the most compassionate and still admired. There is no excuse for the monk for bringing the most hated man as an example at any cost. However, it is not Gota's fault but the monk's fault. He should seek pardon from all true Buddhists and most importantly from the enlightened. White van man with the wisdom, but not wise enough to tread the path of truth and righteousness. Who says he has wisdom and his followers don't have it too! White Van, White Van. They used white to kidnap underworld figures and LTTE supporters. It ceased to be personal anushasana when it was broadcast. You aspire to be president and has commenced campaigning. The monk advises you to assume even dictatorial powers and use the military. This clearly is not advise to an ordinary person. This is the corner of the 0.01% of Sri lankan people that believe UNP will win the presidental election 2020. Welcome to the uninhabited dark corner of the dreamers. MR. GOTABHAYA, HOW TRUE ? YOU UNDERSTOOD IT PERFECTLY BECAUSE YOU ARE THE ONE NURTURING DICTATORIAL INTENTIONS. THERE IS NO OTHER IMPLICATION IN USING THE NAME / TERM ' HITLER ' AND ' MILITARY ' . BUDDHA NEVER DISCRIMINATED PEOPLE BY THEIR WISDOM. HE CHOSE THE SERMON APPROPRIATE FOR THE GATHERING OF ALL WALKS OF PEOPLE. WHAT i HAVE UNDERSTOOD FROM THE INTERPRETATION OF PRIME-MINISTER ON PRIVATE 'ANUSHASHANAWA' BY VEN. WENDARUWE UPALI ANUNAYAKE THERA. IS MR. RAJAPAKSHE TRY PROMOTE DICTATORSHIP GOVERNANCE THROUGH THE SAID MONK. MR. MR.GOTABAYA RAJAPAKSA PLEASE UNDERSTAND THAT THOSE WHO HAVE PREACHED LORD BUDDHA TEACHING, HAVE TO FOLLOW PATH OF BUDDHA. 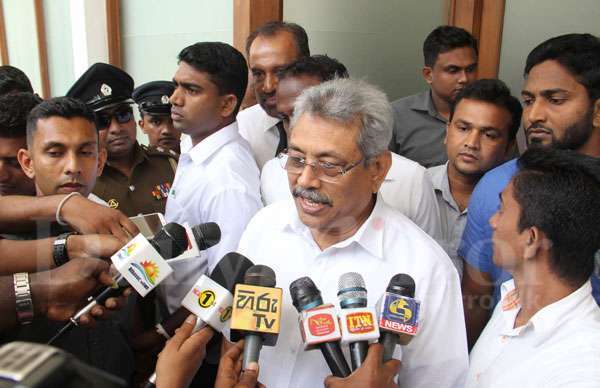 HOWEVER MR.GOTABAYA RAJAPAKSA HAVE ABSOLUTE RIGHTS TO CONTEST FORTH COMING PRESIDENT ELECTION. Fact of the matter is RW listens only what he likes to hear, anything else whether or not right in context is deaf for him. If RW was in opposition it could have been sweet music to him. That's being opportunistic, arrogant and dictatorial. Please do not forget what M.R. and G.R. has done for the country.Appriciate the good one has done, red green or blue.Do not forget since of late ,G.R. is getting a lot of free publicity from all quarters.I think he will appriciate that.There were so many people who never spoke about him before and has become a very favorite person now. 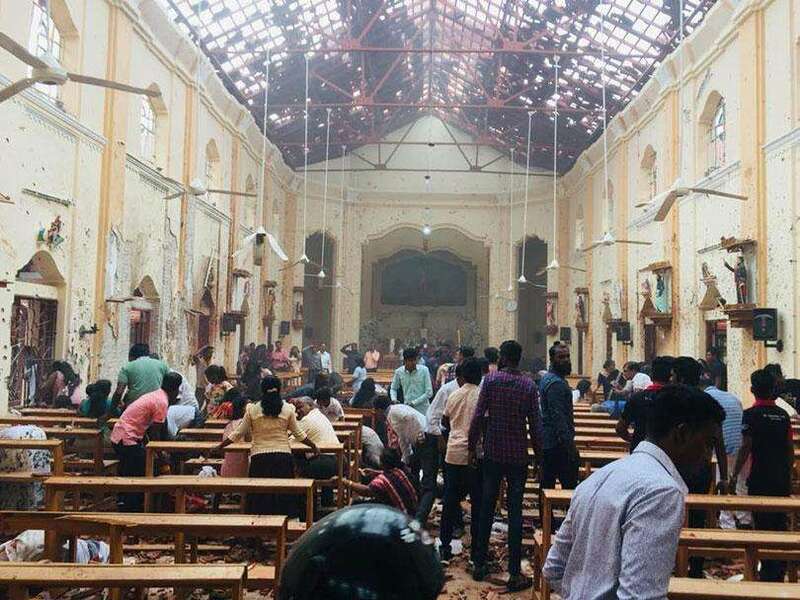 LTTE must have been vicious terrorists from the view of some Sinhala and Tamil people who actually could not know how LTTE was created by the Sinhala state barbarism since 1958However nobody in the North and East never look at this barbarian GR as Theo saviour .So do not talk rubbish as you all pundits. Mr. Gota, what is the necessity for a monk to give a sermon in a "Private Anusashana" inviting HITLER'S RULE in our country? Evidently, he was inviting you as the ruler. That is not an "Anushasana", the monk set the political stage for you. There is nothing to misunderstand. The Ven Monk used a very poor example of what he now claims as only advocating "firm policies!" Gothabays credential are well known in this country. People has forgotten how he address Fedrica of Leader news paper for divulging of MIG transaction in filth. Then how he threatened Somawansa Amarasinghe for publishing of Kathragama bunglow built by him in JVP news paper. 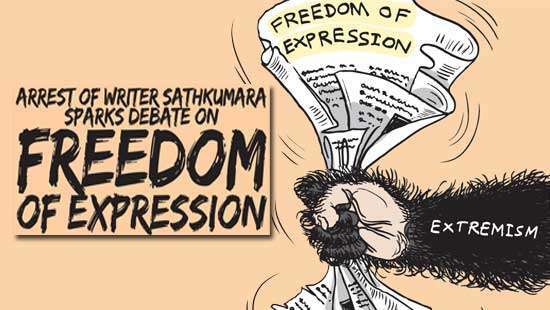 Then people saw how he threatened to hang Sarath Fonseka in an TV interview. Does this country need a man of this nature to be its president ? It takes 4-5 yrs US Govt to grant renunciation of its citizenship after all fact checking for unpaid taxes etc. Serious do you think they would expedite the process this "Hitler." Gota on damage control high!!!! I am sure that Gota prompted the thera to utter the rubbish that do not reflect Buddhism but it backfired!!! What do monks know about the true facet of Buddhism nowadays except to synchronize it with the politics they dabble in? I am sure that the Thera has no idea about Hitler's person and how he ruled Germany etc. He must have meant what Gota says,but the Thera should not have uttered things what he does not know. I have noticed that even when sermons are preached most of the monks tell things that are not believable,which are their own fabrications to impress audience. No matter what. We want Gotabaya as the next president! We are sick and tired of the spineless leaders we have now. Gota 2020!!!! Let’s mak it happen! Solid leader for a solid future! His actions had shown that he is a man of hubris. His distraction is his excessive pride and self confidence of himself. At present time he has no right absolute or otherwise at this current instant as he is still an American citizen. Like MR one foot in SLFP and leading SLPP, he has one foot in SL other in USA. Both are playing both sides for their advantage and not country or even party. 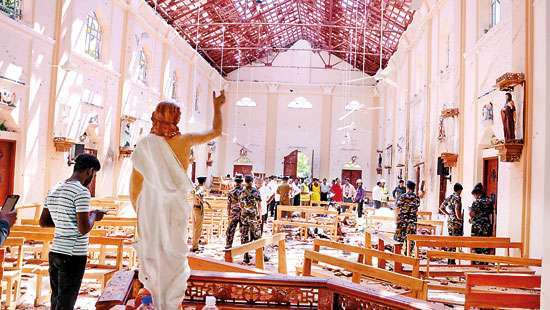 Sermon by an Anunayake should focus on religious leaders and politicians and definitely not on this vicious dictator feared and hated by the entire world HITLER ! I wish to go by the Kalama Sutta.